Staring, withdrawing affection or threatening a divorce are now defined­ as domestic violence in the first national guidelines for judges and magistrates. It gives examples of emotional and psychological abuse as “angry verbal outbursts, staring, silence, ignoring and withdrawal of affection’’. The official judicial guide also cites “social abuse’’ such as criticising the way a partner takes care of the house or becoming upset when chores are not finished. But Law Council of Australia domestic and family violence taskforce chair Dr Jacoba Brasch QC yesterday said a “one-off’’ criticism of housework should not constitute family violence. “Domestic violence or abuse involves violence and threatening behaviour that coerces, controls or causes fear,” she said. The judicial guide criticises judges and magistrates who focus only on “recent physical violence” instead of a “complex pattern of violent­ or abusive behaviours’’. It also says children “do not need to see or hear violence to be exposed to it’’. The state government changed domestic violence laws in June so victims no longer have to prove they have a fear for their physical safety for a restraining order. The government was yesterday criticised by various groups who have called the guidelines an invitation to make define every minor dispute within a relationship as domestic violence. Patil continued that the unintended consequences of these guidelines is to create a hostile domestic environment where males (primarily) are living in constant fear of being accused of being an abuser over the most minute and inconsequential incident. “These guidelines will be an open invitation for people to threaten to make allegations of domestic violence against others, creating a new group of victims in Australia,” Patil laments. Prime Minister Malcolm Turnbull has defended the new domestic violence guidelines for judges. The prime minister insists the ‘bench’ guidelines don’t change the law. ‘They’re there for guidance and I think it’s important that we don’t take them out of context,’ he told reporters in Sydney on Friday. 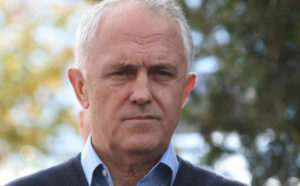 The prime Minister did not elaborate whether the laws applied solely for women and children, or whether they could be applied to male victims as well. Attorney-General George Brandis released the online resource, saying it would promote best practice in domestic violence court cases. The guidelines define as emotional and psychological abuse verbal attacks, stalking, threatening to divorce or kill the victim and monitoring the victim’s whereabouts. Mr Turnbull said it was vital to stop men disrespecting women. ‘Domestic violence is a disgrace,’ he said. For example, in one case of abuse against a female, a man insisted she slept outside and asked her children to refer to her by derogatory terms. ‘Generally treating her in a humiliating and abusive manner, including attempting to persuade her to engage in a sexual act with a dog,’ the guideline example states. There is no single family violence law in Australia and judges can rely on a range of legal responses to deal with domestic violence cases. The guidelines are designed to provide a central source for judges dealing with such cases.